Indexing/skewing drive system for rotating motor core - Servo-dex | Factory Automation in Thailand - SANKYO WORKS (THAILAND) CO., LTD. 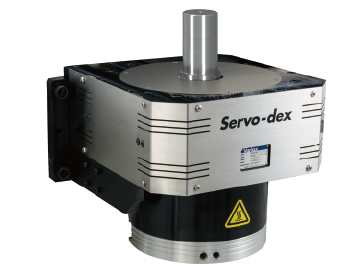 The Servo-dex EVR series is an indexing or skewing drive system for rotating the motor core for production lines making motor cores for hybrid, PHEV, and EV car motors. 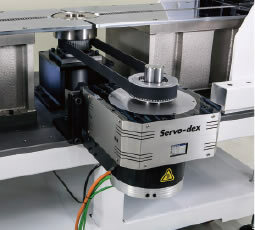 By connecting a high-performance servo motor directly to the motor core, it can index core stacks with high-speed and high-torque, while allowing you to set the rotation angle freely. Through the combination of a servo motor and cam curves, production of high-quality motor cores can be improved.